There are people and organizations out there telling you that there are surpluses in Social Security, that it’s in fine shape and that it is easily affordable to expand benefits. None of that is true and that is not what the Trustees say. Look at the chart below. Boxes above the 0 line were years where incoming payroll taxes exceeded the amount of benefits paid and costs of the program, a surplus if you will. That is where the $2.8 trillion in assets held by the trust came from. The assets are invested in special interest paying US Treasury Bonds. Now look what happened in 2010. The cost of the program exceeded the incoming revenue and the gap between costs and revenue has been growing ever since. A reasonable question would be; how can benefits be paid if right now there is insufficient income to Social Security to cover costs? The answer is that additional revenue is provided by the interest being paid on those Treasury bonds. Because at present the total of the interest plus tax revenue is greater than the costs of the program, some short-sighted groups and individuals see that as a surplus available to expand benefits. That simply is not true. Look at how the revenue gap grows over the next seven years. Between now and 2034, the Trust must redeem all the Treasury bonds it holds ($2.8 trillion). 🤑 In other words, all the money some uninformed people claim was stolen by Congress or more accurately by Republicans, depending on the group promoting the fantasy, will have been paid to the Trust and used to pay benefits. Now ask yourself what happens in 2035. Incoming taxes will be sufficient to pay about 75% to 76% of benefits. You cannot count on interest income any longer because there are no Treasury bonds paying interest, they have all been redeemed. Shouldn’t we first find the fair way to make sure 100% of Social Security benefits continue to be paid long beyond 2035 before talking about expanding benefits? 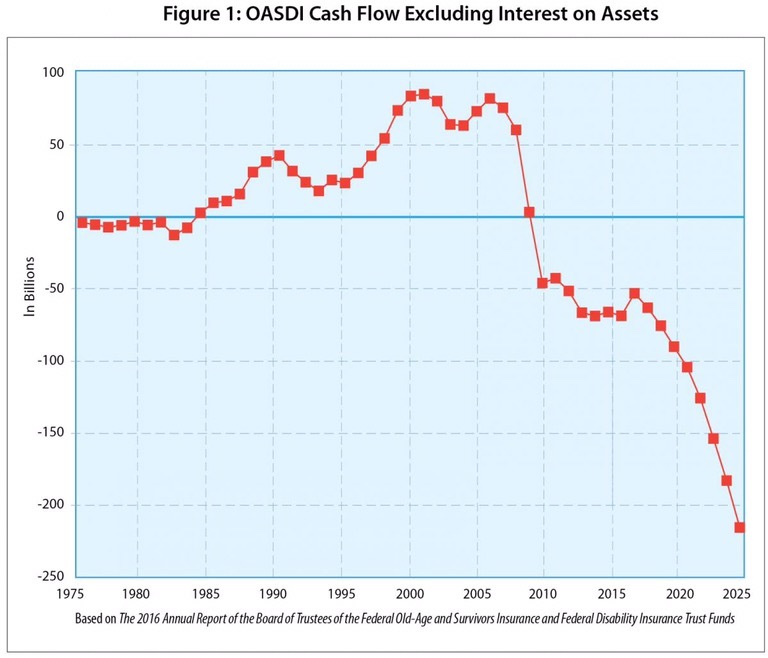 Figure 1 below shows the excess of income (excluding interest) over cost (referred to as a positive cash flow) in the period from 1976 through 2009, and the anticipated excess of cost over income through 2025. The excess of income over cost prior to 2009 has led to the current $2.8 trillion in trust fund asset reserves. 🤑 The federal government must come up with the cash to pay the Trust when the Treasury Bonds are redeemed. This means a higher federal deficit, diverting money from other gov’t spending, higher taxes or all of the above. You always assume that people understand the concept of “savings” which in America seems rare. Add to that concept of retirement savings where people should live off of their savings interest or dividends they do not understand. The government, credit card companies, Madison Ave want you to buy, buy, buy. The government is just like people whom has to spend money that is burning a hole in their pocket. That is what people understand. People also spend money that they do not have and then they do not understand why the bank took their house. Maybe we should take the buildings away from Congress.